"Untitled 17” encaustic on cradled wood , 14x18"
Making a painting using StencilGirl stencils at their request was easy.. 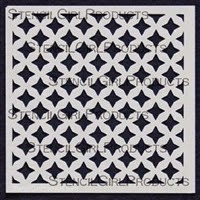 I am a fan of the bold, geometric, repeating patterns of StencilGirl designer, Michelle Ward, and frequently use these specific shapes in my art. 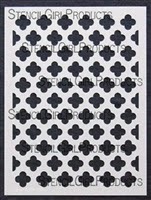 Mixing the stencils of one designer is easy.. the shapes compliment each other seamlessly. They are timeless, handsome and chic. 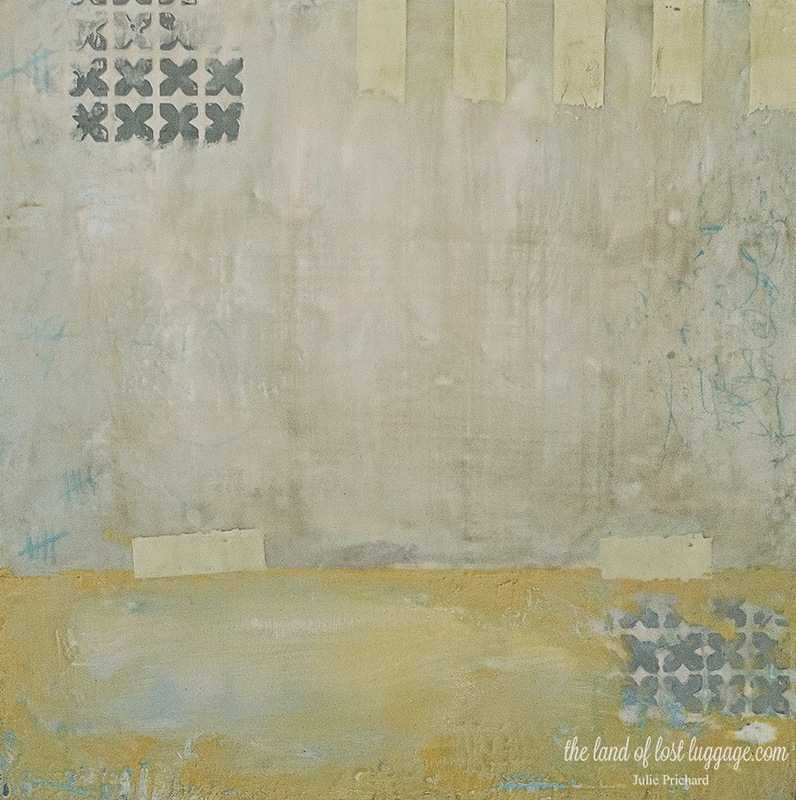 In this encaustic painting, I used 5 different stencils to create a monochromatic abstract. 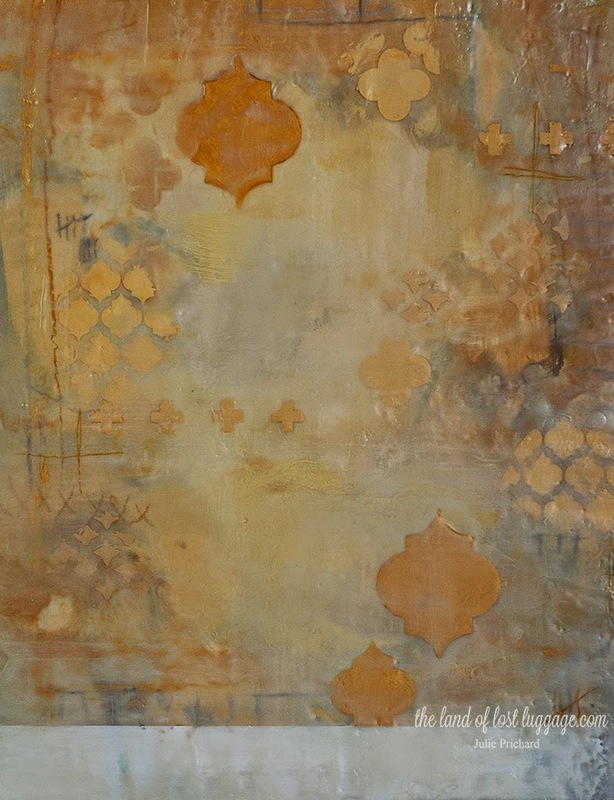 I love how layering the stencils and slightly varying the tone of the wax effortlessly creates an ethereal look. Carving the shapes out of the wax using the stencil is very easy. I also like to carve the shape into the wax and fill it with a contrasting tone. The larger sized shapes make this fun. Metallic gold wax anyone? Delicious. “Carnival” , encaustic on cradled wood, 16x16"
My first painting is what I would call stencil heavy, whereas in this encaustic painting, I used one stencil as an accent only. I love the contrast of the pale background and the bold pattern peaking through just a little. I use stencils a lot this way.. having only a small hint of the design peak through layers and layers of paint; in this case, layers of wax and encaustic medium. Fabulous for your FIRST painting! I really love it! And especially love these three Stencil Girl stencils! Some of my favorites! Absolutely stunning work Julie! I love how you demonstrate that an artist can use stencils and the work still looks like their own. Thank you Julie - over the years you have taught me more about making art than anyone else. OMG Julie, these are stunning! Love your palettes, and the compositions in wax are amazing! Of course, love the stencils too *wink* Thanks for sharing how you use them! These are just lovely! Beautiful texture, and I love the subtlety of the color. 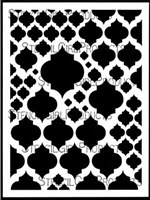 Michelle's stencils are in my go-to pile as well! I just love the texture and design in this piece...I love the addition of wax. How gorgeous is that! You clever girl. Love them both. 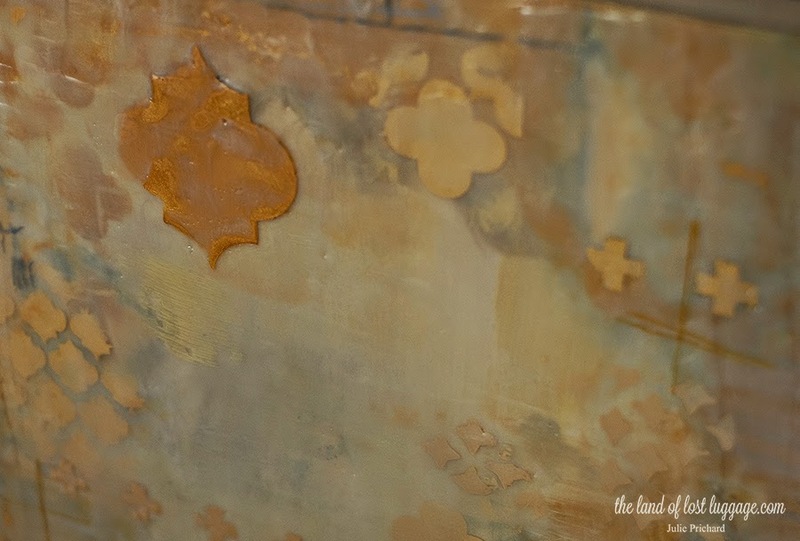 Using encaustic and stencils opens a whole new door! Gorgeous, Julie!! Such depth in these encaustics, I just love 'em. Thank you for using our stencils and being a guest designer. Wonderful work! I love the subtle color and whispery feel; a nice foil for the structure of Michele's fab stencils.